Gov. Bruce Rauner, addressing the media to recap his 10-day investment and business growth mission to Germany and Poland, said today that he and his delegation of Illinois business leaders met with dozens of companies to discuss foreign direct investment in Illinois. Rauner revealed details of his mission at the headquarters of the Metropolitan Pier and Exposition Authority (MPEA). Near the end of his trip, he made the official announcement that MPEA will host Germany’s world-renowned manufacturing trade show brand at McCormick Place co-located with the International Manufacturing Technology Show (IMTS). Combined, Germany’s HANNOVER MESSE and our IMTS will attract more than 125,000 visitors and produce hundreds of millions in economic impact for Illinois, and the City of Chicago and the Chicagoland area. 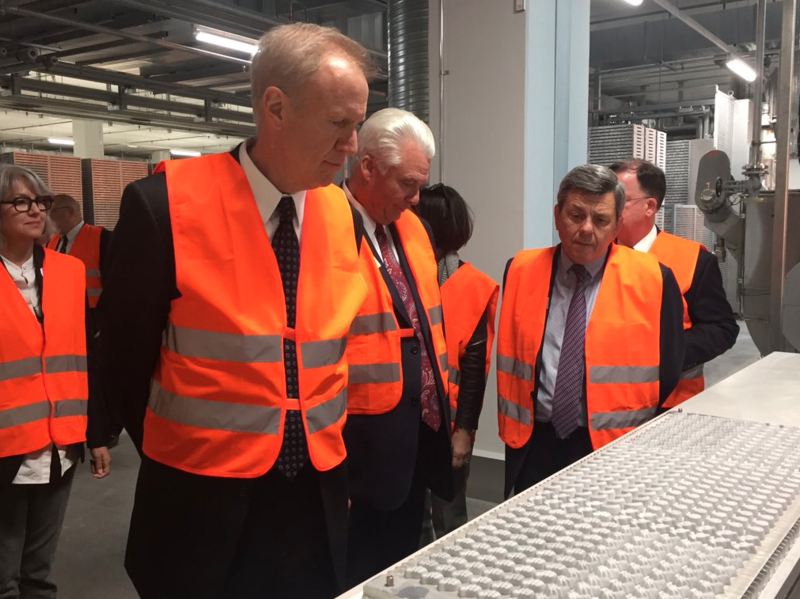 According to the governor, the mission provided an opportunity to meet with companies that already have Illinois in their sights for investment. The governor noted that the mission had a marketing aspect, as well. Illinois is the world’s 18th largest economy and its assets are well known to the 200+ German and Polish companies that employ more than 38,000 Illinoisans. But there are thousands more that don’t know the Illinois story. “This is an exciting time for DuPage County and the region as a whole. Working closely with the Governor’s Office, the Illinois Department of Commerce & Economic Opportunity and Intersect Illinois, DuPage County has expanded its global footprint with international businesses seeking to relocate, or expand operations here,” said John Carpenter, President and CEO of Choose Dupage. Consuls General and U.S. Ambassadors arranged for hundreds of prospective investors to hear the Illinois story. Video of the event is posted here. 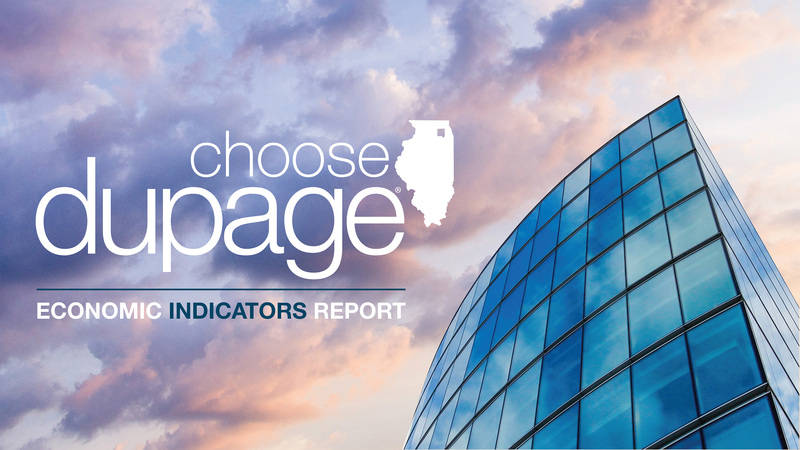 Choose DuPage has released its 2018 First Quarter Economic Indicators Report outlining DuPage County’s continued economic growth. While maintaining the lowest unemployment rate in the region, the average annual salary in DuPage County is higher than both the state and national average. Current employment opportunities in high-paying positions are also available in a wide range of industries throughout DuPage further showcasing it as an ideal location for businesses and job seekers looking to build a life in a thriving community. DuPage County continues to maintain the lowest unemployment rate in the Chicagoland region at 4.2%, lower than both the State of Illinois (5.0%) and United States (4.4%). Industrial vacancy rates are currently at 5.5%; office vacancy rates dropped to 15.3% from 17.5% during the same period last year. The average annual salary in DuPage County is approximately $62,000 – higher than both the State of Illinois ($57,000) and United States ($54,000). Over the next year, the fastest growing industry in DuPage County is expected to be Healthcare Support Occupations with a +2.2% year-over-year rate of growth (adding 350 jobs). The next highest is Healthcare Practitioners and Technical Occupations with 1.3% growth (adding 419 jobs), followed by Personal Care and Service with 1.3% growth (adding 257 jobs). The largest major occupation groups in DuPage County are Office and Administrative Support positions (106,367 workers), Sales and Related Occupations (71,836 workers), and Transportation and Material Moving Occupations (49,322 workers). Occupations in the DuPage with the highest average wages per worker are in Management ($118,700), Legal ($101,300), and Computer and Mathematical Occupations ($87,000).Measuring future job growth by the number of advertised open positions indicates there are nearly 20,000 online job opportunities in DuPage for careers in the Computer & Mathematical field, followed by over 15,000 in Management, and tens of thousands more across various sectors in white collar and blue collar industries. 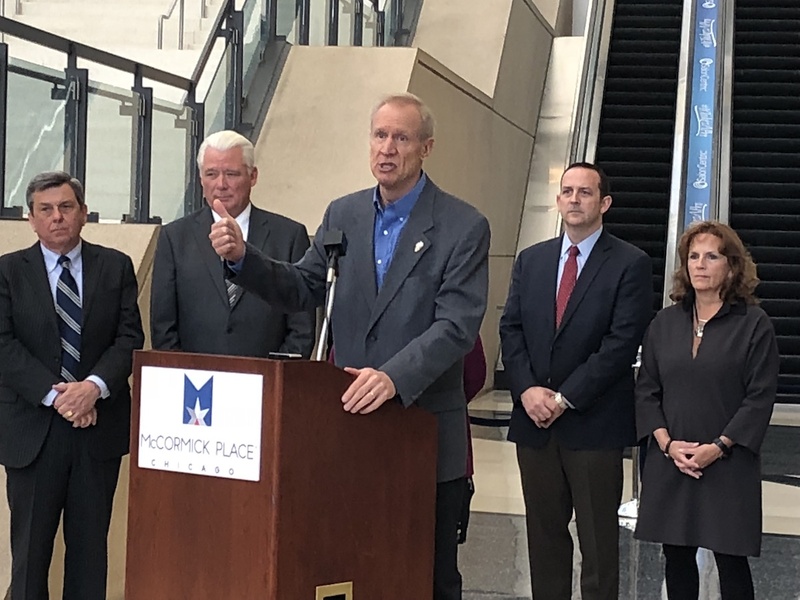 Choose DuPage is joining the Intersect Illinois delegation that is in Germany this week for a jobs mission with Governor Rauner and members of Team Illinois. The jobs mission will have a brief stop in Poland before continuing to Germany. Between April 17th and April 24th, the Team will cover over 1,600 miles and attend 20 plus meetings. This will be Governor Rauner’s first European trip as Governor. 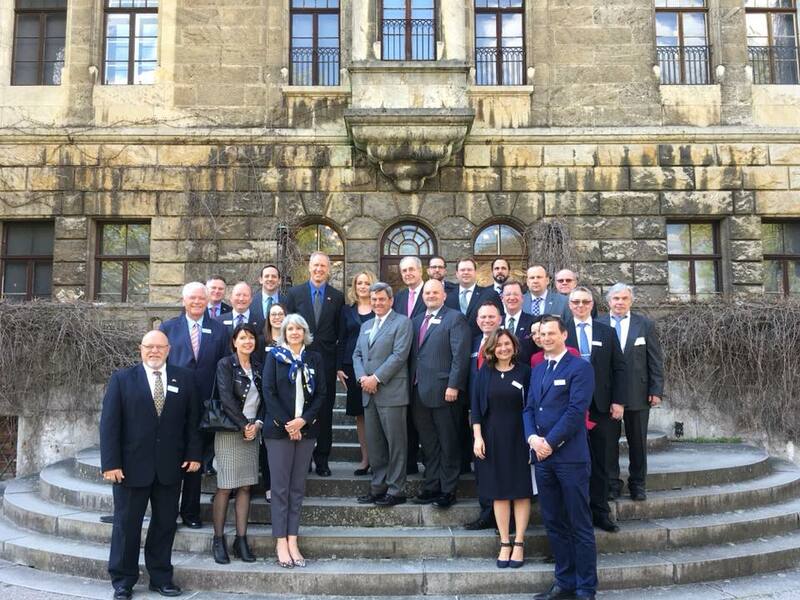 He, along with Intersect Illinois, leaders in business, education, and the government comprise “Team Illinois” and will begin the Germany portion of the trip in Munich. The Governor will lead Team Illinois along with Mark Peterson, President & CEO of Intersect Illinois, Sean McCarthy, Director at the Illinois Department of Commerce, Erik Brejla, Assistant Deputy Director and Foreign Direct Investment and Site Selection, of the Illinois Department of Commerce, and Kelly Nicholl, Chief Marketing Officer of Intersect Illinois. Team Illinois consists of a talented group of individuals who possess a wealth of knowledge and experience as it relates to Illinois and this jobs mission. With over 1,800 foreign owned companies in Illinois generating $100B in FDI, Foreign Direct Investment continues to be a focus for Team Illinois. Marketing Illinois as a global hub for business to international job creators will bring new opportunities to forge partnerships and advance the state’s economic growth. With the superior access to international travel as well as Illinois’ talented workforce, we are excited to bring this message across the globe. The trip has a busy itinerary that includes visits to companies that have existing facilities in Illinois, as well as exciting announcements of new operations within the state. The perfect conclusion to this whirlwind will be Hannover Messe where the team will meet with various Illinois companies exhibiting at the world’s largest manufacturing trade show. Hannover Messe boasts over 6,500 exhibitors from 70+ countries and 225K trade visitors.